The New "God of Fortune" Activate the BONUS GAME and win big with the God of Fortune! Home > News	> The New "God of Fortune" Activate the BONUS GAME and win big with the God of Fortune! 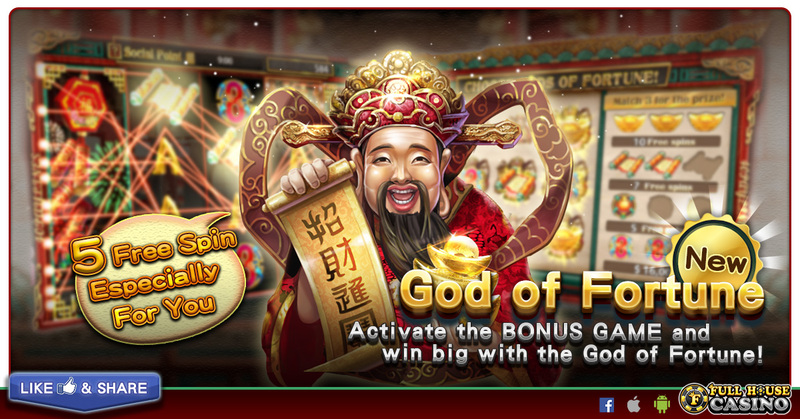 Play 【God of Fortune】to get 5 Free Spins!